Q: I already know how to eat right, so why do I need to hire you? Michael Phelps already knows how to swim. Brad Pitt already knows how to act. Joe Flacco already knows how to play football. Do you think they still hire coaches? Of course! My point is that there is so much more than just KNOWING what to do when you work with a professional coach. Yes, we will make sure to brush up on your nutrition knowledge, but you will gain the HOW-TO. I will give you the accountability, motivation, and problem solving skills required for success! I will continue to challenge you as you master certain goals. I will keep your head in the game and help design solutions to your challenges. Q: What is a virtual private practice and why do you have one? More frequent appointments– this results in improvements in adherence and commitment to the program…aka better results! Organized and saveable nutrition education and resources– paper documents no longer “get lost” amongst the clutter. I’ll send you appointment summaries at the end of each session with handouts, presentations, links to articles, goals, recipes, etc. Between-appointment check-ins via email– better accountability to one another creates better results. Also, you’ll know I’m fully accessible to support you with any questions or concerns! Modifiable appointment durations available for those with higher or lesser support needs- sometimes my clients are in the swing of our plan and just need a quick 15-minute session, whereas other clients need more guidance, education and support and require a longer appointment. I am flexible to your needs and will not abuse my time with you. Skype sessions allow improved educational experience via share-screen feature– people are often visual learners. I’ll be sure to show you anything we are discussing during and then send it straight to your email after the session. Q: Do you accept my health insurance for my appointments? I used to and there may still be some literature out there (print or online) that has this previous policy, but as of February 1, 2016 I no longer accept any health insurance for my services. Programs are self-pay, which provides you with many advantages over the previous insurance-based model. Payment plans are provided as needed. One of the major reasons for this shift into self pay is also due to the virtual nature of my practice. At this time, most insurance plans do not cover virtual appointments. I create personalized nutrition programs for each of my clients depending on the care needed for their case. Program quotes, provided at the end of the Get Acquainted session, outline the anticipated length of time I plan to work with the client to achieve their goals, the amount of time devoted to each appointment, as well as the number of total appointments. 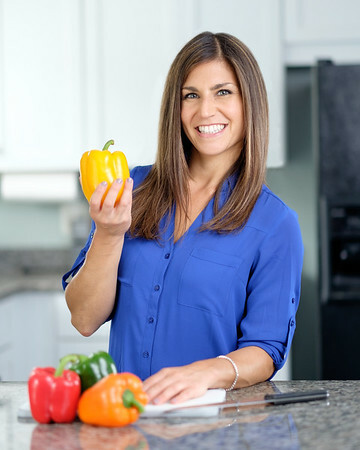 My prices are fully in line with the market for dietitian services at $150 per hour. Q: Do I need to buy your recommended nutritional supplements? Of course not…but if you are coming to me for professional, high quality health advice, then supplements are often part of that process. The products I offer in my virtual store (fullscript.com) are ones that I have hand selected based on very specific parameters. My ultimate goal is to get you the best outcomes possible; therefore, I place a lot of time and energy into making recommendations that are best suited for you. If you find supplements elsewhere for a more affordable price then I encourage you to go for it. Keep in mind that products vastly vary so make sure to be a diligent and knowledgeable label reader! 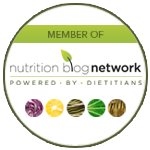 Q: What is the difference between a Registered Dietitian Nutritionist (RDN) and a Nutritionist? The simple answer: A RDN is a nationally recognized credential and a Nutritionist is not. Does it mean one is better than the other…no way! It just indicates different training backgrounds and possibly a different approach to your case. All RDNs are also Nutritionists, but not all Nutritionists are RDNs. Nutritionists could have a weekend course training or they could have a PhD in nutrition! It just isn’t a standardized term. To find out more click here. Q: What kind of labs can you order since you’re not a doctor? There are certain limitations on ordering lab tests from dietitians compared to physicians. However, I may order labs tests with specific companies including Oxford Biotechnology (MRT food sensitivity testing), Genova, and CommonWealth Laboratories. There are many avenues we can explore together using these advanced testing panels. Often I recommend your physician order specific labs, especially if there is potential insurance coverage for the test. If you do not live near my office and our appointments are conducted virtually, test kits will be shipped directly to your home and I will help identify a convenient blood draw location. Q: What diet do you follow? I like to self-experiment with “diets”: vegan, paleo, whole30, gluten free, low FODMAP, LEAP, detox, etc. It helps me to be a better practitioner and know first hand the challenges you may be facing when I ask you to follow these plans. My experiments help me to develop cool recipes and find great products that fit the bill with each dietary approach. However, my typical “diet” does not necessarily follow strict rules. I try to eat a ton of plant-based foods like nuts, seeds, veggies, lentils and beans. I eat limited amounts of seasonal fresh fruit and occasionally consume dried fruit, especially prior to a workout. I sometimes eat fish (primarily as sushi) and I eat certain high quality meats, poultry and eggs. I like to drink regular coffee with unsweetened almond milk and cinnamon, water, and kombucha. I cook my meals from scratch and avoid buying processed foods. On the weekends, I like to explore new restaurants and “live a little” with my food choices! I don’t keep a food log or track calories, but instead try to make mindful food choices and listen to my hunger cues. Q: Should I cancel my follow up visit if I did not adhere to the program? This is the best reason to NOT cancel…I’m here to HELP you adhere. You will never be scolded for poor adherence. Instead, we will discuss the challenges you faced and how you can better overcome them next time. This process is not easy and it takes time for a change to really stick. Be patient with yourself and know that I am here for support and encouragement. All clients should provide 48-hours notice via phone or email if he/she needs to cancel or reschedule a planned appointment time, otherwise there is a $40 fee. Q: Are there any specific populations that you do not work with? I do not specialize in pediatrics. However, I do occasionally work with children and teens based on their specific needs and if I feel I can address their concerns. Also, I do not work with individuals diagnosed an active eating disorder. There may be other conditions outside of my specialty that I may or may not feel comfortable working with, but this will be discussed during your Get Acquainted initial session. If I do not feel we are a good fit and I am not the best person for the job I will do my best to make an appropriate referral. Are you ready for a change? Erin helps people all over the country, just like you, get well!